Wearing: Thrifted blazer, dress and shoes, Target watch. Today I enjoyed a rather calm Sunday in one of my favorite latest thrift finds: my poofy polka dot dress! I have a new love for full-skirted dresses like this one, they are so girly and I've also discovered that they really flatter my figure! I'm rather short, so finding things that look really good on me can be a challenge sometimes. But I'm so addicted to full-skirted dresses, and that's what I've been on the hunt for lately. This one has a tulle lining underneath, so that really helps out the fuller shape! 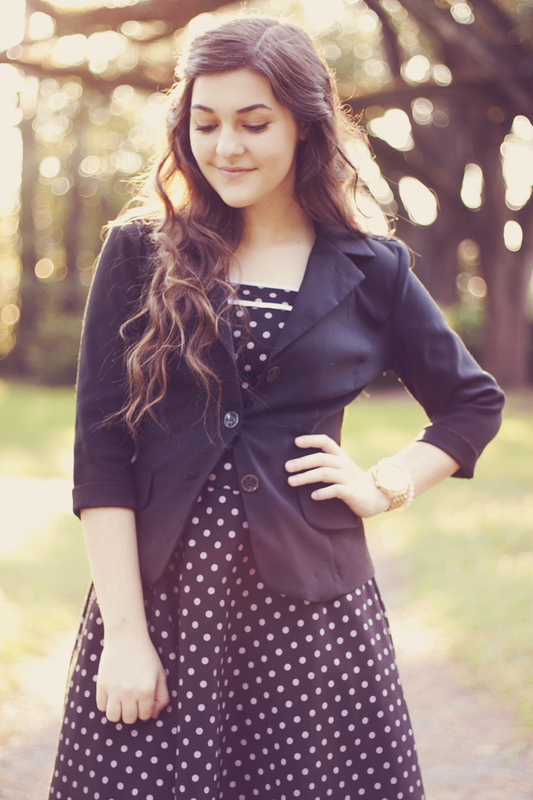 It's a strapless dress, so I just paired it with a blazer for a more 'fall' look. Hope you have a great week! Such a cute dress! Really love your hair! I have a very similar dress and I just really didn't know what to do with it :D But now I know, girl I just might try to be a copycat with one outfit soon :D You rock! This is the cutest outfit ever. 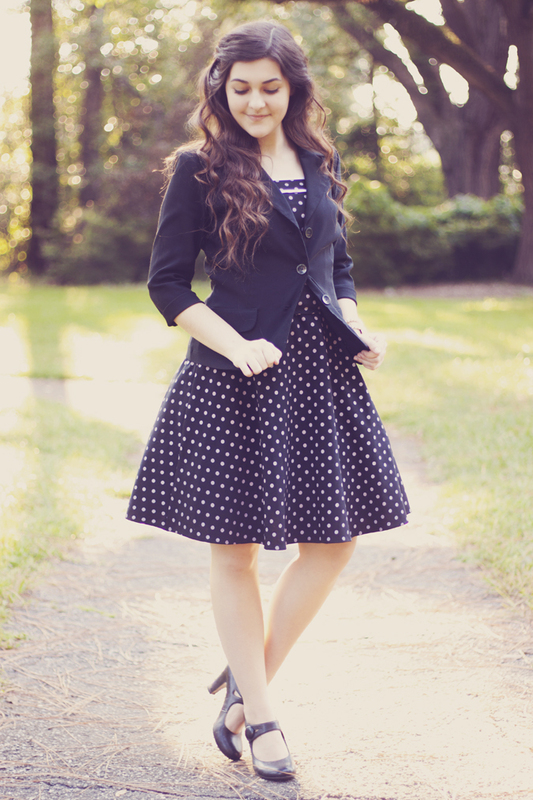 I love the fun, retro, feminine polka dot dress so much, and the blazer and heels go perfectly with it. Such a sophisticated and stylish outfit. You always look so beautifully polished! 10 Tips For Taking Your Own Outfit Photos!